Exmoor Touring Caravan Hire are based near Minehead on Warrs Farm in Wheddon Cross and we specialise in fully equipped quality touring caravans for hire. 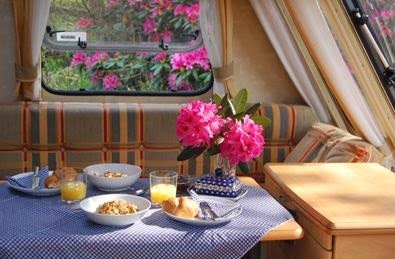 Whether you are new to the idea of a caravan holiday or are an experienced caravan enthusiast, Exmoor Touring Caravan Hire can cater to your needs. 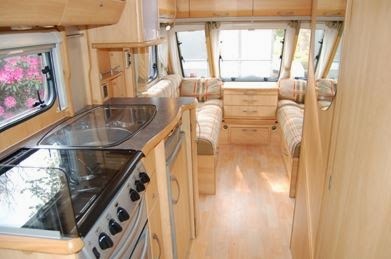 We have a selection of 4, 5 and 6 berth touring caravans for you to hire for your holiday. All of our touring caravans include the following; blown air heating, hot and cold running water, bathroom facilities, wardrobe storage, refrigerator, oven, grill and hob, 240v hook-up and smoke detectors. Our caravans are hired on a weekly basis and maybe hired from 2pm on the day of hire and must be vacated by 11am on the last day of hire. We regret no dogs are permitted in the caravans themselves apart from the awnings.